If you have a dog, you know that crates are sometimes a necessary evil. 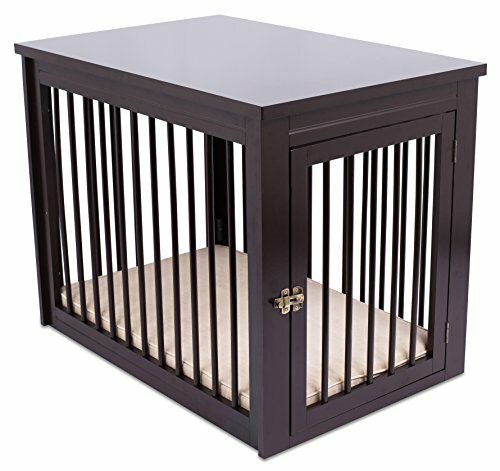 Crates give your dog a safe area to hang out while you’re out of the house and they also give your dog his/her own space. However, on the flip side, most crates are pretty unattractive. Made of either metal or plastic, they’re usually not the kinds of things you want to put on display in your home. Fortunately, furniture-style crates offer a nice alternative. Not only will these crates still give your dog a place to be, but they’ll also look good in your home. As the name suggests, furniture-style crates are made to blend in to your home by looking like pieces of furniture. Ready to see just how stylish these crates can be? Here are 10 furniture-style crates your dog will love. Made for a large breed dog, this beautiful wooden crate can also double as a side table next to a couch or chair. Want to give your pet some privacy without compromising the look of your home? This wooden furniture-style crate is just what you need. 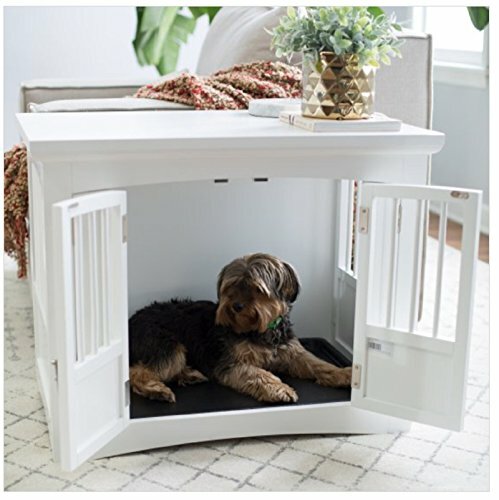 Not only was this crate designed to look great in your home, but it was also made to help dogs with anxiety. Your dog’s crate doesn’t have to be an eye sore thanks to items like this. This awesome furniture-style crate can also double as a table for your living room or entryway. 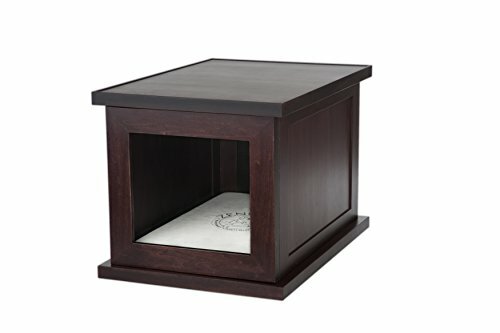 Simple and stunning, this wooden crate has a durable design that will keep your pet comfortable and safe for years to come. 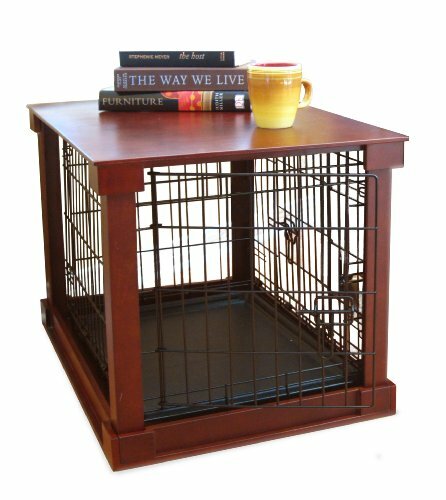 Built with a sliding door to make it easy for your dog to walk in and out, this crate can also be used as a unique end table. 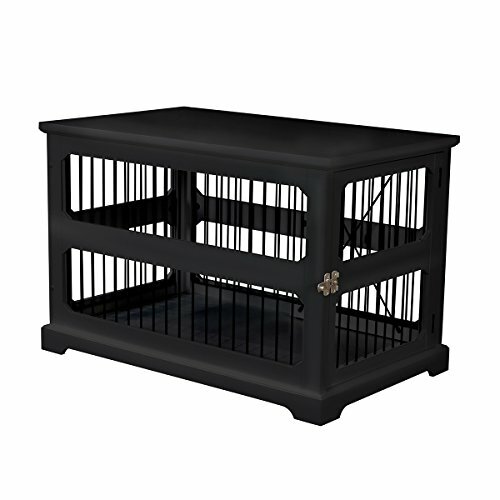 Capable of complementing any room, this crate can be a great addition to your home and a great ‘home’ for your pet. Two double doors give this crate a lavish look that can add a little bit of extra style to your space. 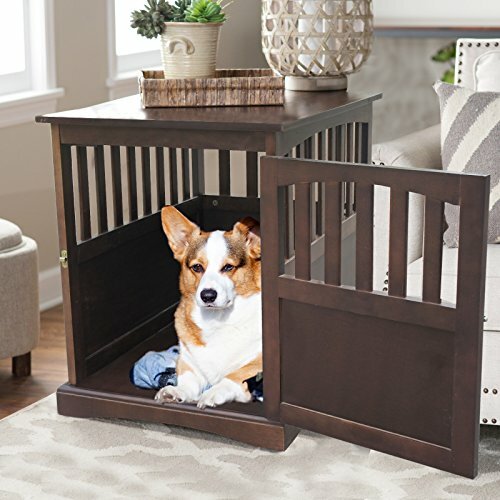 Your dog will be extra comfortable in this crate thanks to the padded bed designed to fit perfectly inside. 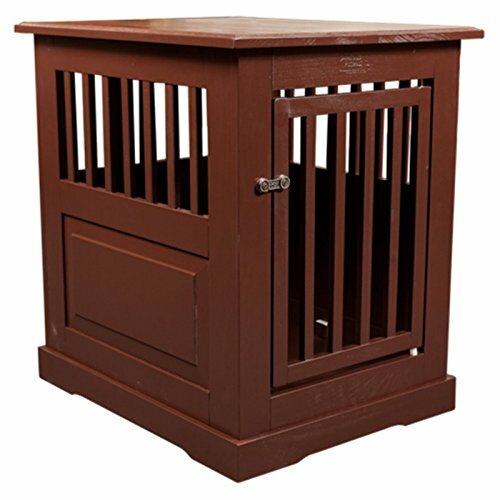 This wooden crate is available in three sizes to ensure that you get the best fit for your dog.